This autumn brings about some big changes for American businesses operating under the jurisdiction of OSHA (hint: that’s just about everyone!). As of September 11th 2014, the requirements for having to report injuries and fatalities on worksites is getting an overhaul. From the range of situations that need to be reported to the types of companies required to report in the first place, there’s a lot to know. Ultimately, OSHA will be reaching out on its own to those most profoundly effective, but it can’t hurt to give yourself a leg up and be ready. In this article, we’ll explore the recent changes, along with their implications for your business. 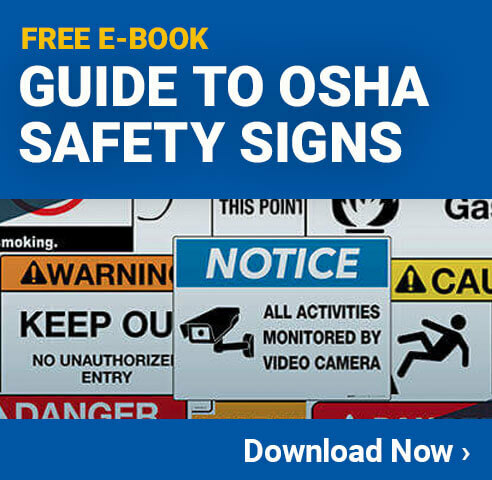 Currently, OSHA requires that all work-related fatalities and hospitalizations of workers be reported to them within eight hours of an event occurring, but only if three or more employees are involved in the incident. Under the new rules, while all fatalities still need to be reported to OSHA within 8 hours, there has been a change to the hospitalization requirement; in any case of worker hospitalization, including for the loss of an eye or an amputation, a business must report the incident to OSHA within 24 hours, regardless of the number of workers involved in an accident. This means that even if an incident is isolated and affects just one person, OSHA needs to know if they were hospitalized. Of course, there are plenty of other details that help to flesh out some of the new requirements. First of all, only fatalities that occur within 30 days of an incident must be reported. As for hospitalizations, these must apparently occur within 24 hours of a work-related incident in order to necessitate reporting to OSHA. Furthermore, injuries and deaths resulting from automobile accidents on public streets aren’t required to be reported, presumably because these will be a result of circumstances largely outside of the business’ control. If any kind of hospitalization is only for diagnostic testing or observation purposes, employers won’t have to report it – unless the employee is then admitted for treatment, or is admitted later (but still within the appropriate time windows). Currently, certain business sectors are partially exempt from reporting worker injuries to OSHA due to the low incident rate of their respective industries. This makes sense, because one of OSHA’s primary goals is to identify workplaces where workers are most at risk. In the case of these low-risk industries, any incidents that do occur are usually isolated or “freak” accidents, and do not indicate a trend in unsafe practices, so focusing enforcement or citation efforts here isn’t going to accomplish much – or at least that’s how the thinking goes. Now, however, OSHA is re-evaluating which bodies receive this special exemption status, and the end result is reportedly roughly 200,000 establishments which will have to start reporting incidents for the first time ever this year. A large part of this decisions comes from the fact that OSHA was previously using the outdated Standard Industrial Classification (SIC) system and injury and illness data from the Bureau of Labor Statistics’ 1996-98 records. Obviously, the numbers have had close to two decades now to mature and evolve, and the landscape today isn’t the same as it was then. If your business has ten or fewer employees, you are still covered under the record-keeping exemption regardless of the specific industry your business falls within. Newly exempt industries in this index include clothing stores, gas stations, colleges and universities, full-service (not fast food) restaurants, and newspaper publishers. There are also many new industries that will have to start reporting now, including auto dealers, liquor stores, emergency and relief service providers, museums and historical sites, performing arts companies, and bakeries. Anecdotally, recent events may hint as to some of the new requirements (Cirque Du Solei, certainly a member of the “performing arts” industry, had several incidents within the last few years, including at least one which resulted in death). That said, some of the new industries required to report as a result of the new indexes are likely a nod to the focus on prevention, rather than response to what’s already happened. As you read through the changes, if you’re anything like me, you might have had a few questions. One of them that you certainly wouldn’t be alone in asking has to do with the drop in reporting threshold for workers hospitalizations. Previously, the need for at least three workers to be hospitalized helped to ensure that a problem was indeed work related; several workers being hospitalized at once made for a fairly easy connection to draw. Now, however, reporting every hospitalization seems like it could end up counterproductive by forcing OSHA to comb through a number of less significant or even insignificant cases. Surely, there are thousands of cases each year in which the hospitalization of a worker is not directly tied to a work cause or specific incident. As a general goal, OSHA has stated that they hope that having more businesses in the reporting cycle and more incidents covered as reportable will ensure that they are able to have a closer relationship with businesses and better protect workers. OSHA says the new rules will result in an increased number of consultations and inspections the organization conducts. Of course, many are concerned that “closer relationships” with OSHA mean more citations, fines, and headaches. Unfortunately, it’s likely they’re right: When OSHA takes notice of an incident enough to get involved, they usually end up taking some kind of action, and this often means a punitive one. Some of the business types required to report now are those that can still be above the 10 employee threshold, but remain small. These businesses could be one penalty/citation away from closing their doors. Ultimately, here’s to hoping that the threat of involvement does enough to keep everyone proactive about keeping employees safe so that incidents don’t even occur in the first place. Finally, in order to help field the increased number of reports coming in, OSHA has setup a new online reporting tool for incidents resulting in fatalities and/or hospitalization. This will be in addition to their already existing local phone reporting and 24 hour hotline. One expert has cautioned against the new tool, however, stating that employers could be providing harmful evidence against themselves if they are forced to quickly give a written report right after an incident has occurred; emotions are high during this period and you may also have not had a long enough period to fully evaluate what exactly happened. For many of you out there, the new rules won’t have a large bearing on your day to day operations, especially if you were already a non-exempt business. For those of you wondering if you’ll need to start reporting, OSHA is supposed to be reaching out to all establishments with new reporting requirements to help with the transition. For all businesses, the new rules will go into effect on January 1st, 2015. Can OSHA Re-Open Closed Investigations?